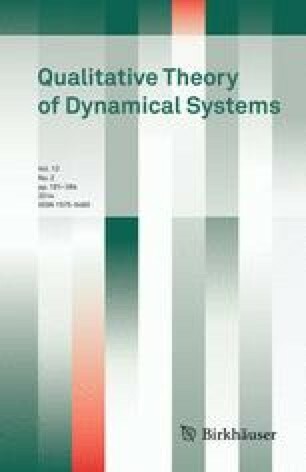 In this work we consider the problem of classifying all configurations of singularities, finite and infinite, of quadratic differential systems, with respect to the geometric equivalence relation defined in Artés et al. (Rocky Mount J Math, 2014). This relation is deeper than the topological equivalence relation which does not distinguish between a focus and a node or between a strong and a weak focus or between foci of different orders. Such distinctions are however important in the production of limit cycles close to the foci in perturbations of the systems. The notion of geometric equivalence relation of configurations of singularities allows us to incorporate all these important geometric features which can be expressed in purely algebraic terms. This equivalence relation is also deeper than the qualitative equivalence relation introduced in . The geometric classification of all configurations of singularities, finite and infinite, of quadratic systems was initiated in  where the classification was done for systems with total multiplicity \(m_f\) of finite singularities less than or equal to one. That work was continued in  where the geometric classification was done for the case \(m_f=2\). The case \(m_f=3\) has been split in two separate papers because of its length. The subclass of three real distinct singular points was done in  and we complete this case here. In this article we obtain geometric classification of singularities, finite and infinite, for the remaining three subclasses of quadratic differential systems with \(m_f=3\) namely: (i) systems with a triple singularity (19 configurations); (ii) systems with one double and one simple real singularities (62 configurations) and (iii) systems with one real and two complex singularities (75 configurations). We also give here the global bifurcation diagrams of configurations of singularities, both finite and infinite, with respect to the geometric equivalence relation, for these subclasses of systems. The bifurcation set of this diagram is algebraic. The bifurcation diagram is done in the 12-dimensional space of parameters and it is expressed in terms of invariant polynomials. This provides an algorithm for computing the geometric configuration of singularities for any quadratic system in this class. J. C. Artés, J. Llibre are partially supported by a MINECO/FEDER Grant Number MTM2008-03437 and an AGAUR Grant Number 2014SGR 568. J. C. Artés is also partially supported by NSERC. J. Llibre is also supported by ICREA Academia and FP7-PEOPLE2012-IRSES number 318999. J. Llibre and N. Vulpe are partially supported by the Grant FP7-PEOPLE-2012-IRSES-316338. D. Schlomiuk is supported by NSERC. N. Vulpe is also supported by the Grant 12.839.08.05F from SCSTD of ASM and partially by NSERC.